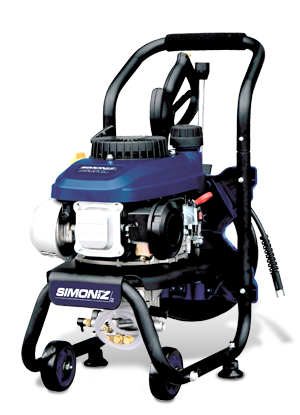 The Simoniz 2200 PSI Pressure Washer features a compact OHV 141cc gasoline engine that delivers 2200 PSI of force for effective cleaning power. Quickly clean driveways, decks, windows and other areas around your home. The compact design features handy on-board accessory storage, and four quick-connect tips that offer a wide range of spray patterns for different cleaning projects.